Can’t decide which neon color to print, then don’t! We used 2 colors to create an ombre letterpress imprint. 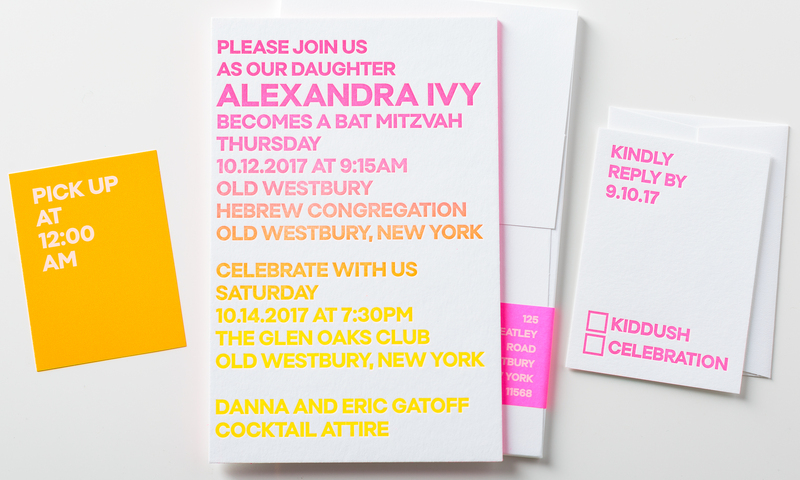 The blend of inks changes throughout the run, making each invitation one-of-a-kind. 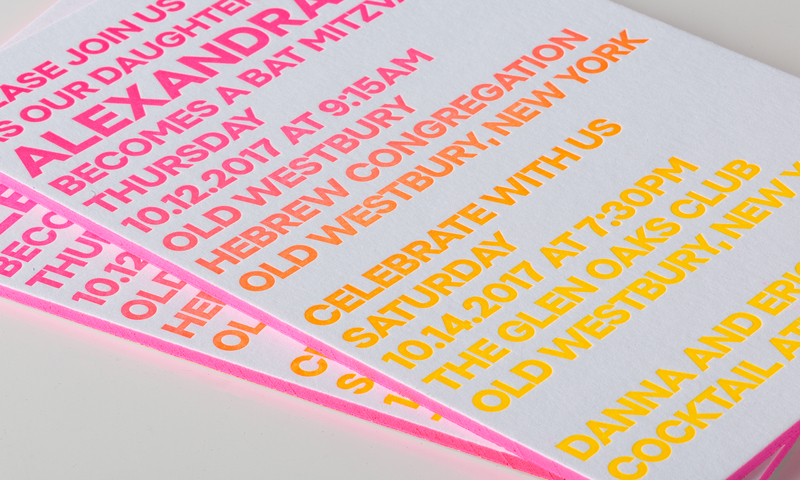 Matching neon reply set and a pick up card complete this set.